Occasionally, Freehold exterminators get called to exterminate spider infestations that have gone completely out of control. Spiders can be a nuisance and even a menace at times. 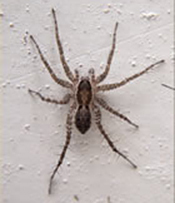 If you have a spider infestation in your home, it’s important to know how to control it. By doing a little bit of work, you can prevent these pests, and even rid yourself of them before their populations get too high. • Get rid of piles on the exterior of your home. Examples might be wood piles, leaf piles, etc. • Clean your home regularly, but always wear rubber gloves to protect yourself against bites from hard-to-spot spiders. • Move items around in garages and basements to disturb their habitats. 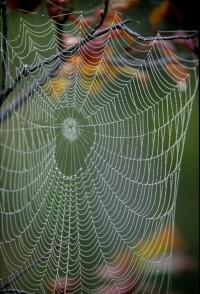 • Vacuum spiders and their webs from corners, ceilings, and under furniture. • If you have mercury vapor lighting on the exterior of your home, switch to sodium vapor lighting to discourage flying insects (also known as spider food). Pesticides don’t always work very well, and even if they do, they’re toxic to you and your family. The best way to get rid of a large spider infestation is by contacting your Freehold exterminators, Allison Pest Control. Don’t let spiders overtake your home. While some are beneficial, many can be dangerous. Contact us today for help! Spiders. They come in all shapes, sizes and colors, spin webs, and are super fast when skittering across a surface. On top of that, they look menacing and other worldly, and can make a grown person cringe. There are around 50,000 spider types in the world and Allison Pest Control NJ takes care of handling at least 39 of these spider species that inhabit homes, sheds and surrounding properties. While spiders play their own role in nature, many pose no health threat to humans, but there are some arachnids that have a venomous bite. Here’s a short list of spiders that call New Jersey home. • Bold Jumper – one of the most common spiders in the US, these black spiders feature a colorful patch on their abdomen and like to jump. • Carolina Wolf Spider – a larger species that prefers keeping a low profile during the day and becoming more active in the evening. • Long-legged Sac Spider – likes to live indoors and prefers the night to search for food. • Common House Spiders – prefer weaving webs inside your home and around exterior areas such as garages and storage buildings. Since 1917, Allison Pest Control NJ has been serving its customers with quality service by experienced technicians. 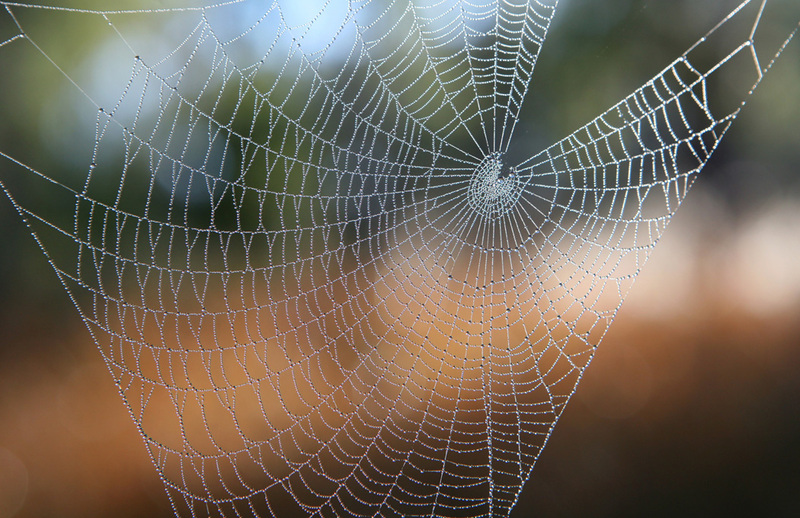 If you have a spider problem, or any other type of insect, pest, or wildlife infestation, just give us a call and we’ll take care of the rest. Some pests have a photogenic and magnetic personality. So it is with jumping spiders. Recently this tiny spider was photographed by NJ resident, Barbara Storm, who submitted a picture of the spider perched on a begonia pedal to the 13th annual Smithsonian photo contest. According to Ms. Storm, the jumping spider lives in the backyard of her home in Tewksbury. Ms. Storm stated “some of the most magnificent and beautiful creatures can be found in your own back yard.” With so many skittering specimens making their way around, it’s easily a photographer’s dream come true for colorful and unusual photo opportunities. Ms. Storm’s jumping spider picture became one of the finalists out of over 46,000 submitted from veteran and amateur photographers around the world. From bees and lizards to butterflies and squirrels, insects and wildlife play a role in nature, which is important to the planet. Unfortunately, sometimes an infestation of your yard or home can lead to problems, which results in damage to your property. Whether bee hives need removing, wildlife safely captured, or treatments for pests such as bed bugs, Allison Pest Control NJ can handle the job. For help with a pest problem or for information about pests in and around your home, contact Allison Pest Control NJ for assistance from the experts. Our friendly and experienced staff is standing by to answer any questions you may have about pest removal. The most venomous spider on the continent can be found right here in New Jersey: the black widow. 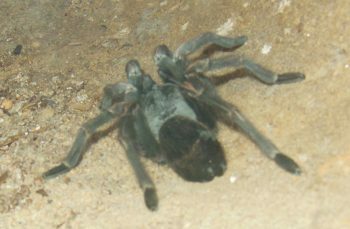 These scary arachnids can produce venom 15 times as poisonous as a rattlesnake, causing severe pain and sometimes worse symptoms ranging from difficulty breathing to paralysis or even death. New Jersey residents encounter black widows often enough that everyone should know how to identify them, how to react when bitten, and when to call for spider control services to stamp out the problem. Depending on the exact species and gender, black widows can vary in appearance. The Northern black widow—the most common variety in New Jersey—will be 1 to 1.5 inches long, with four long inner legs and four shorter outer legs. Males have white stripes and are less venomous. The females have an red hourglass shape or row of red dots on their backs. Black widows bite humans defensively, not as an attack. However, it only takes accidental contact to provoke the black widow. Bites feel like a simple pin prick and symptoms gradually increase. Redness and pain worsen, often turning to wider spread soreness and severe nausea. Dogs, cats and other pets experience similar symptoms with a wide range of severity. After a bite, seek medical attention for effective treatment—if untreated, the victim might experience convulsions, fainting, and paralysis. Fatal bites are rare in New Jersey, but possible. If you see a black widow inside or around your New Jersey home, call for pest control immediately! If you spot one, many more may be living around you. Allison Pest Control services more than 5,000 homes and businesses in our area annually. Isn’t it time to get service from the local NJ pest control experts? It all starts with a free pest inspection. “Bug bombs”, otherwise known as “total release foggers” are used to kill off a wide variety of creepy critters in homes and businesses across the US. Ants, cockroaches, spiders, and flying insects die when directly exposed to the pesticide that is released. Some people have tried in vain to kill bed bugs in their home by using total release foggers as well. Stories have been reported over the years of some people becoming ill due to pesticide exposure when they have used bug bombs, and in some cases, explosions or fires have erupted when the foggers have been released too close to gas stoves. Questions have arisen for the Centers for Disease Control and Prevention (CDC) as to the safety of those who have chosen to use fogging products. The CDC’s National Environmental Public Health Tracking Program developed the “NYC Tracking Program” to collect and monitor data about environmental hazards of bug bombs. Information was also collected about the health effects from human exposure to these types of pesticides. It is possible that NJ may implement this same type of tracking program in the future. The national and local data that was collected revealed that there were many different types of bug bomb injuries and illnesses that were incurred by humans as a result of using these products. The decision to ban foggers/bug bombs was made by the NYC Health Department with the NY State Department of Environmental Conservation as a result of the study by the CDC. Currently, the state of NY only allows licensed pest control professionals to purchase these types of products. As one of our closest neighbors has called bug bombs a health hazard we recommend you steer clear of this class of products. We can help to keep your family safe from pesticides in NJ us at Allison Pest Control, a quality Monmouth County NJ exterminator.